‘Oli’ is a good looking launching soon template suited for any digital agency and only costs $6. 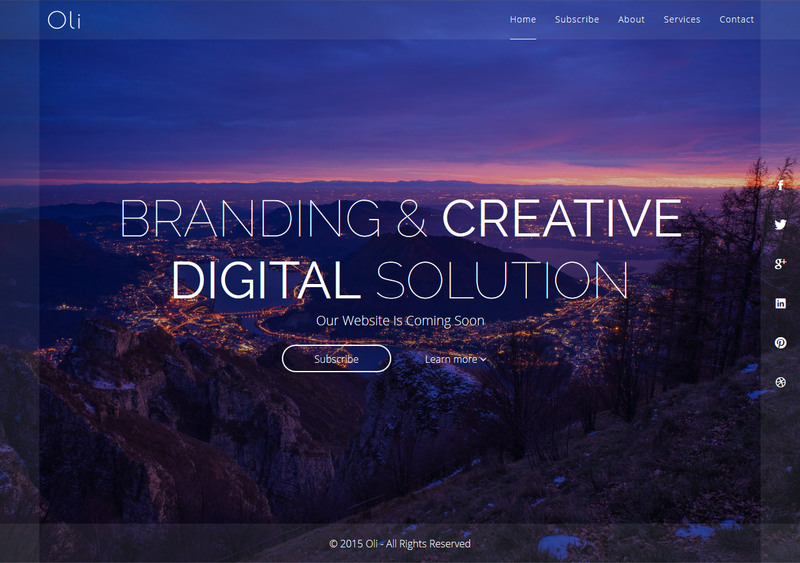 The HTML template comes in two layout options – intro text slider and countdown timer. ‘Oli’ actually caters for a lot of information and would be sufficient for any service industry business. Oli is a creative, modern, minimal and fully responsive coming soon/under construction template suitable for any creative business agency. Oli is based on Bootstrap 3.3.1 and jQuery 1.11.2 framework. The working newsletter form needs no database (it is integrated with MailChimp).